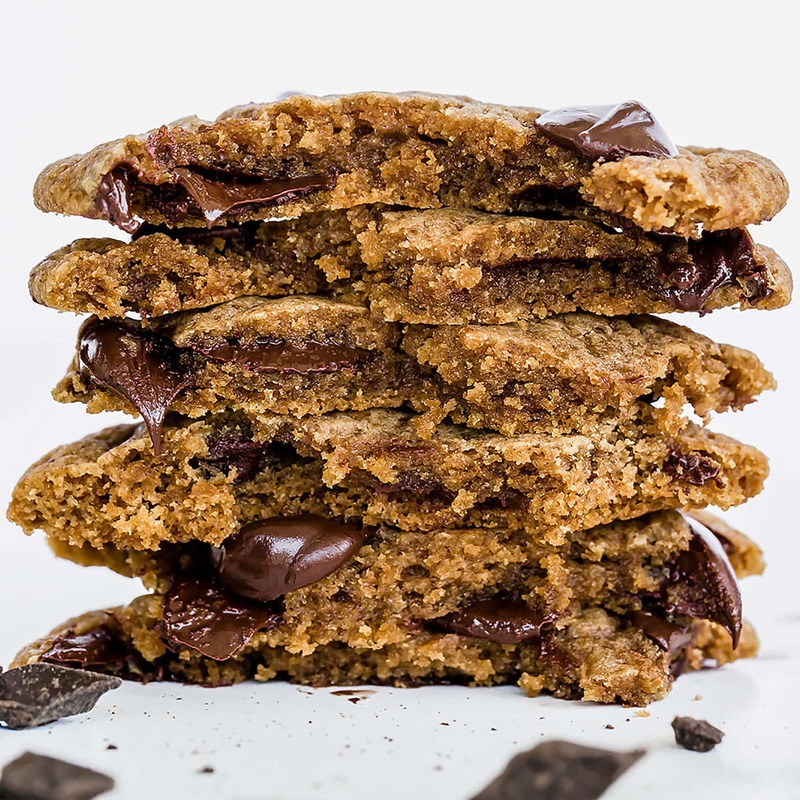 Healthy Chocolate Chip Cookies are dairy free and made with whole wheat flour and coconut sugar but taste just as good! Easy 20 minute recipe. In a medium bowl combine the flour, baking soda, baking powder, and salt. In the bowl of an electric mixer beat the coconut oil and coconut sugar until very well combined, about 2 minutes. Add the egg, yolk, and vanilla. On low speed, gradually beat in the flour mixture. Stir in the chocolate chips. Divide the dough into 1 1/2-tablespoon sized balls and drop onto prepared baking sheets. Bake for 9 to 10 minutes, or until golden brown. Cool for 2 minutes before removing to wire racks to cool completely. Cookies can be stored in an airtight container at room temperature for up to 3 days. © 2018 Handle the Heat. All rights reserved.